Hudson Valley Bodyworks is an empathetic compassionate place. Each Therapist uses an integrative approach taylored to your specific issues. ​ Ashley is a veteran at Hudson Valley Bodyworks. She attended the Hudson Valley School of Massage in 2012. She's been interested in massage ever since she was five years old when both of her parents were injured in a car accident. Ashley is adept at peeling away the superficial levels of the body and then allowing for the clients to transcend to a deeper, more grounded place. She also focuses on trigger point therapy, and deep tissue work. Ashley states “I feel blessed to do what I'm passionate about every day. I get the most joy out of helping others”. She also states that “on a daily basis, we all feel pain in some way- physical, emotional, or spiritual. We tend to push it aside and ignore it until it comes screaming out of our bodies. Muscle holds memory. We need to take the time to listen and respond. Massage helps us to be truly present with ourselves." ​Graduate of the Swedish Institute College of Massage Therapy & Allied Health Sciences in 1991 and The Rolf Institute in 2001. He has been an advanced Rolfer since 2008. Richard’s professional experience includes serving on the Swedish Institute faculty and working as a principle therapist for seven years at The Ostrow Institute for Pain Management in New York City. As a Rolfer, Richard is keenly interested in the role of connective tissue in our bodies, particularly as it relates to postural patterns. 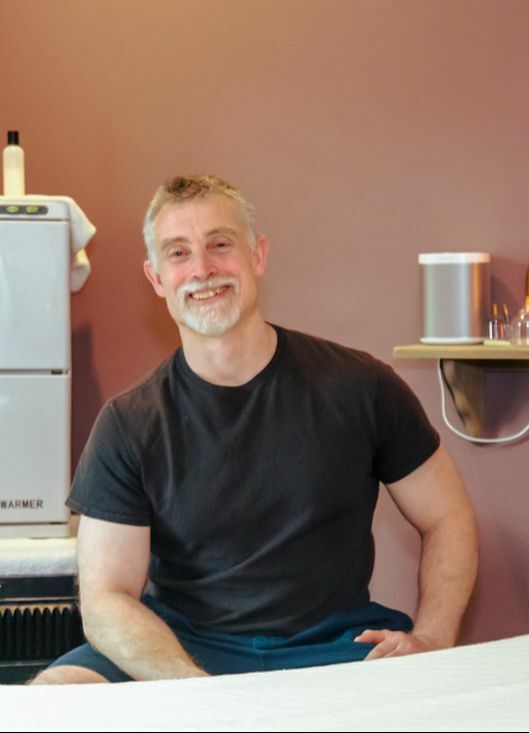 In his over two decades of bodywork experience, Richard has striven to expand his understanding of anatomy and biomechanics while deepening his hands' ability to listen to his client's bodies. In his spare time Richard is an olympic-style weight lifter and chess enthusiast. Through Winters life's work, she has found what she loves to do, Massage Therapy! Whether it was taking dance & gymnastic, playing guitar & drums, hiking, biking, moving from one place to another, working at a computer, getting married, being pregnant or having children, these experiences brought with them a deeper understanding of the body and mind. These experiences not only taught her how to echolocate the core of her imbalances (physical and emotional/ body and mind) but have helped shape her approach to meeting your imbalances as well. From rejuvenating your energy to working out those layers of stress, she works with her innate intuition as well as her experiences to listen to your body. Each session is truly unique and renews her interest in both Massage Therapy and body work. Come on in and remember what your body really feels like!